In the second of his What Is It? series of articles, Craig Pullen, Run Your Fleet’s Head of Operations, explains what Vehicle-to-X communication is and the advantages of it. This is a system that enables direct communication between vehicles (vehicle to vehicle) and infrastructure (vehicle to infrastructure), such as traffic lights or other traffic management systems. 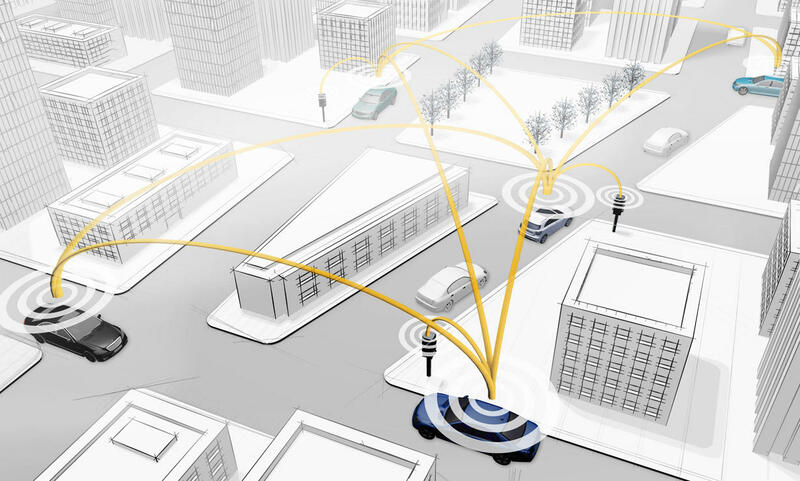 Vehicles with the system collect and analyse data, and, using a combination of existing mobile technologies and an adapted wireless WLAN standard, the system forms a spontaneous network, making the data available to the driver and vehicle’s navigation and safety systems. For example, Vehicle to X can audibly and visually alert drivers that an Emergency Vehicle is heading their way, provide information about upcoming traffic lights (advising the driver of the optimum speed required to achieve a green light), or inform and warn about an obstacle on the road before it can be seen by the driver. Construction work en-route can be communicated, providing information on lane layout, location, and volume of vehicles passing through the site. Although Mercedes-Benz is the first manufacturer to introduce it, others, such as Audi, are developing their own systems, with Bosch and Siemens as their technology partners. Mercedes Benz and Apple are collaborating to incorporate Vehicle to X into their Drive Kit Plus feature, effectively making the system backwards compatible with non-current vehicles.